As soon as we saw this adorable mini Matcha bowl we knew it would be an instant hit with our customers. And that as many tea lovers would use it as a ‘hold in both hands’ tea bowl for sipping all sorts of delicious green tea as would use it for drinking Matcha. 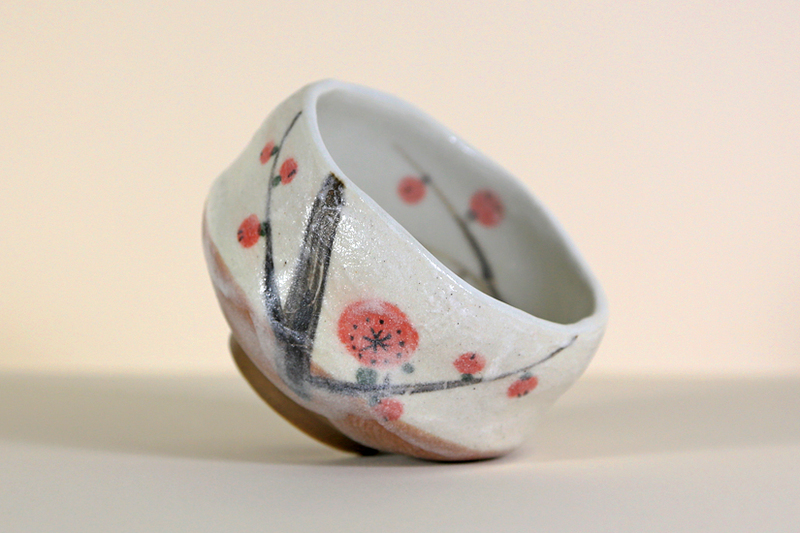 This bowl is so sweet and lovely to hold that you will want to use it often. The design is a modernist interpretation of budding Sakura (cherry blossoms) in the spring. 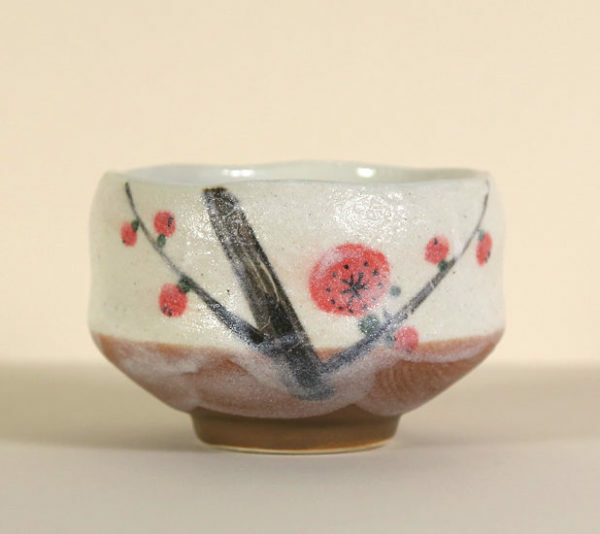 The chilly weather that can accompany the arrival of Sakura season across Japan is acknowledged in this bowl by the addition of a thin ‘frosty’ white glaze that sits like a gossamer veil over the design painted on the outside of the tea bowl. This frosty glaze also adds a slight contrast of gritty texture to the outside of the tea bowl versus the inside of the tea bowl (which is smooth).